Some people have expressed interest in this doily but are finding it difficult to decipher the pattern (written in the old-fashioned way). 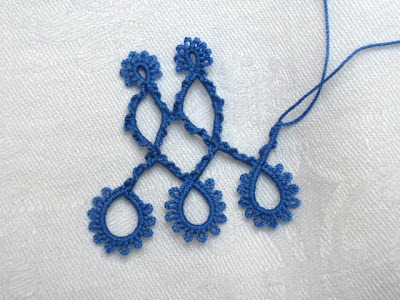 As this pattern (the whole book in fact) is available on the internet, I feel it is fine to re-write parts of it here, in modern tatting pattern terminology. 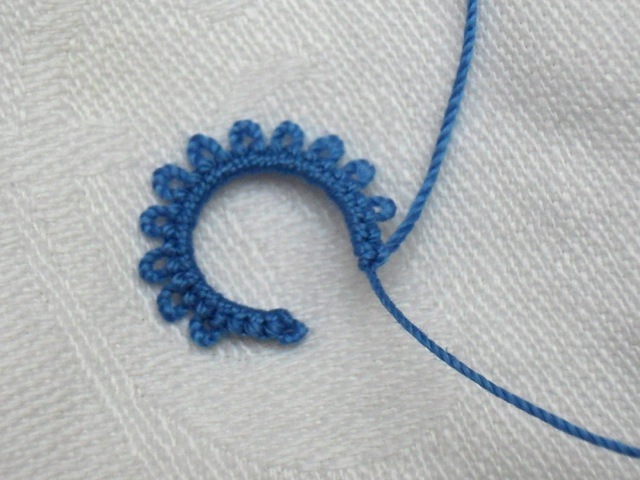 Start on a chain, leaving a small picot. I use the method without paperclip (see in the techniques section, tab above). Using these methods, the work is never reversed as you always tat with the front of the work facing you. The Victorian sets are made as a chain and have four first halves of the double stitch followed by 4 second halves of the double stitch and are marked as vs4^4 (seems appropriate as the sets form little Vs). I will be putting a C in front the vs4^4 as Victorian sets could also be worked in ring form so I'm trying to keep things as clear as possible. Don't forget: you never reverse work! This is one whole repeat written out and there are plenty of photos below to illustrate each step. Join back into your starting picot. SCMR2-1-1-1-1-1-1-1-2 (8 picots), close the SCMR. or a paperclip is fine too of course. vs4^4(x6) are completed and I have made the SCMR. I just need to pass my shuttle through the loop to close it. and I have removed the bobby pin and joined in that small space. making sure the ball thread is under and the shuttle thread is over. The original pattern does the join all around the Victorian sets chains but I wasn't finding that easy to do so that's why I used the paperclip and the vsp instead. 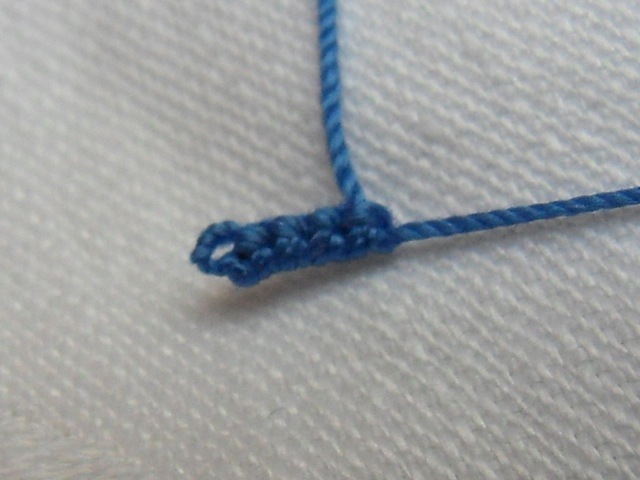 I find it give a precise joining point whereas when trying to do the join all around the chain, it was hard to get an accurate spot every time. 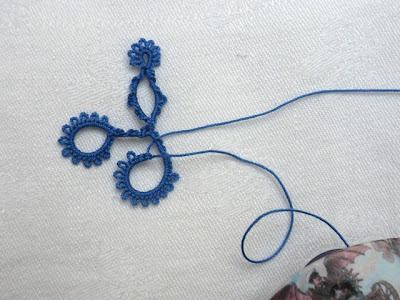 I hope this is useful to those who were interested in tackling this doily. I have just finished the tatting of mine tonight and am now on the search for some nice fabric for the middle. Hopefully I can show you the finished doily very soon. I confess, I'm one of those people whose eyes go crazy at all the numbers and hyphens. It's much easier for me to picture the finished project or sections when I read the old fashioned directions. I still can't figure out why anyone thought a long series of numbers and hyphens would seem more explicit. In any case, I do enjoy your blog and appreciate your posts. Hi Dora, perhaps what I find difficult is the layout, rather than the wording. The old patterns often consist of one big block of text with no gaps for the eye to rest and to find where one element ends and the next starts. But we're all different and we all have our preferences! And it's fine like that. After your illustration with pictures and simple annotations, the pattern looks a lot more accessible. Tks for sharing your experience. Thank you so much! I have a few projects to finish first, but I do want to try this pattern. I have officially bookmarked your explanation for further reference (Agh, I'm so tired that I almost said "until further notice" hahaha) =) Thanks!!! Thank you very much. I have used the original patterns in the book, but they're not easy to follow, so any modernisation welcome! Thank you so much. I've been struggling with the joins, and this looks so much better. Thank you for showing how its done. Hi Lenka, the alligator join would not work everywhere here because of the direction of the work. It is an alligator join after the large chain/ring. The pattern did call for a different join on the Victorian sets chains but this is how I did it because I found it easier. I'm glad you found it helpful! 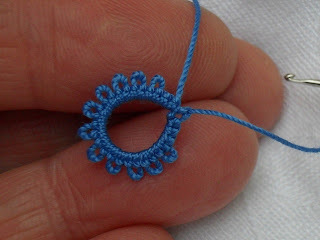 Beautiful tatting and your thread colour is very lovely. Aha! Bobby pins! Brilliant. I have already been to the dollar-store and purchased a life supply for a buck! Thanks for the idea. I have never been satisfied using pins or paper clips or knitting notions. These little babies just might do the trick! TOTALLY amazing Frivole! Thanks for the link to the book too. 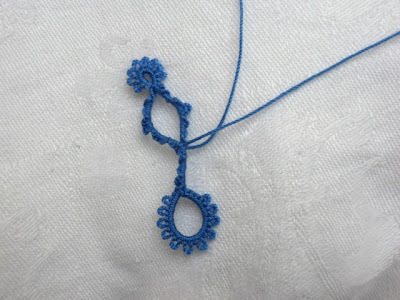 There is some amazing tatting in that book. 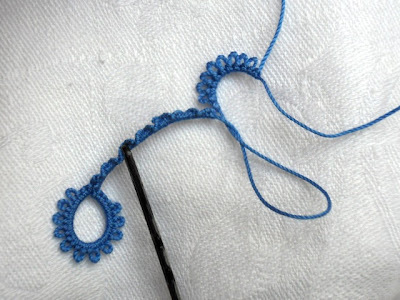 I've bookmarked this to come back to as soon as I get done with some other doilies. It IS a fab book Carolivy, I'm glad I enabled you to find it! Hi Grace, you're welcome! Bobby pins are not essential by any means! I just happened to spot one as I was tatting and thought they would make a nice alternative. I use bobby pins as well. I have the coiless safety pins but trying to own them can be a bit fussy so I just keep hair pins around. This is a beautiful doily. What's the name of the book? I'd love to add to my meager collecting. Oi, eu adicionei um botão traduzir no topo, que não funciona? I had my shuttle all wound with thread (alot of it) and cut it from the ball so one day I'll be ready to make something big. For this pattern it is tatted from the ball. If I tie the ends together to begin this project, how can I start with a picot? Can it be done or do I need to buy another shuttle to be able to go directly (no knots) from the ball? 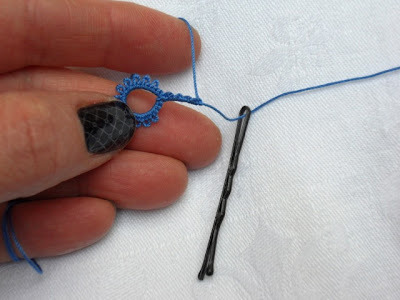 Hi Judy, well, it's not impossible but it won't look quite as good as if you start with the thread continuous from the ball. 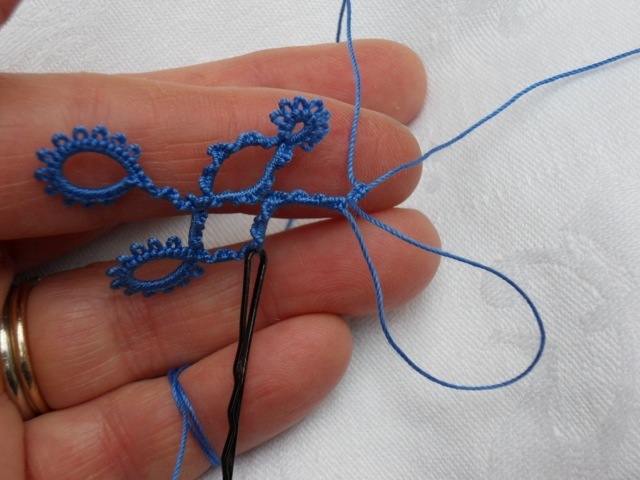 Have you looked at the video on how to start with a picot? 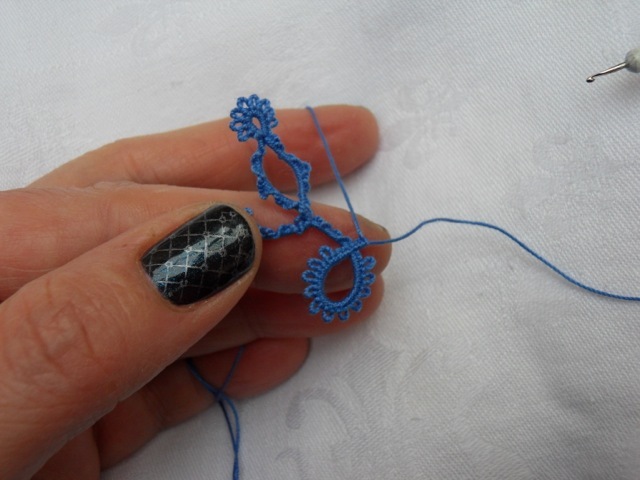 I think it would be difficult to hide the ends nicely when starting with a knot and a picot. You don't need to waste your thread though, just wind it back into a tiny ball and use on another project. But if you really wanted to start with a knot, I would wind the knot onto the shuttle, start the project without a knot and deal with the knot a bit further into the tatting. I think you said you were a beginner tatter? I don't know if you'll find these suggestions too complicated.